Experience exceptional Ritz-Carlton service while sailing the seas! The world-famous luxury hotel chain is taking to the seas. 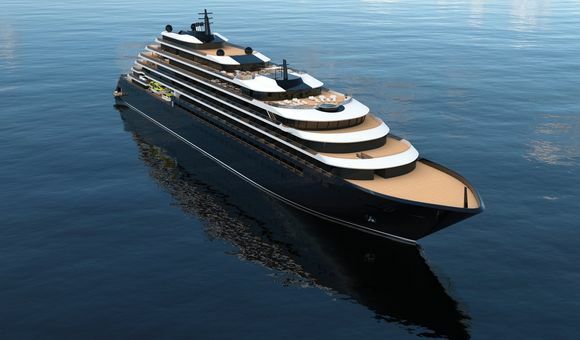 The Ritz-Carlton Yacht Collection will launch the first of three planned superyachts in 2020. These luxurious ships will provide the signature Ritz-Carlton experience to a range of discerning guests – but at sea, delivering them to a variety of world-class destinations and overlooked gems on every cruise. Guests can look forward to timeless Scandinavian design with an exceptional attention to detail, ultra-spacious onboard spaces and suites, world-class cuisine, and an unmatched level of personal service while onboard. The Ritz-Carlton Yacht Collection ships will sail unique itineraries around the globe, always going somewhere new so that passengers can book back-to-back cruises without repeating any ports. The small size of the luxury superyachts allows them to go places where larger ships cannot go, and reinvented “limousine tenders” will make journeys ashore comfortable and seamless. A highly-personalized shore excursion will allow guests to deeply experience the culture of each destination visited, customized for their individual tastes. Enjoy a one-of-a-kind yachting experience onboard the Ritz-Carlton Yacht! Sail away to various stunning destinations while getting pampered by the luxuriousness and high service standard on the ship.